This past Sunday, it has been decided that Mt. 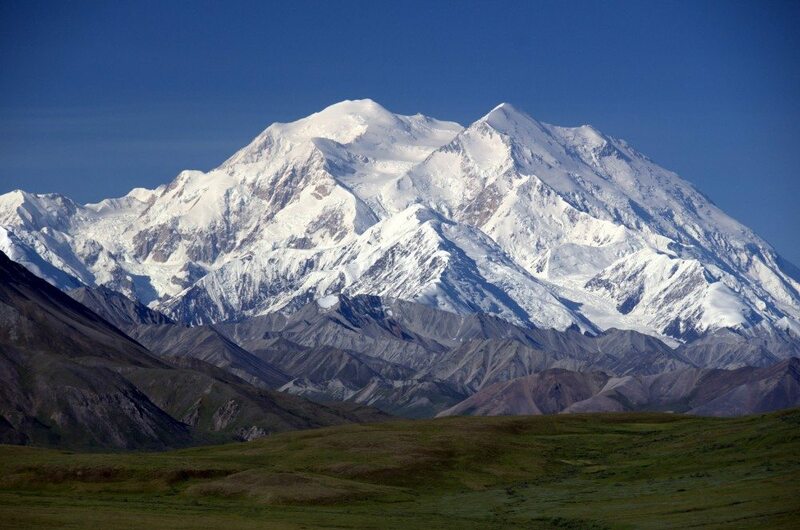 McKinley, named after the 25th president of the United States, will be getting its Alaskan name back; Denali. The decision was made by Lame Duck president, Barack President Obama, who has been using his last year of presidency to leave as much of a positive impact as possible, especially on the social issues and the environment. The decision was made on the day before his visit to Alaska. Recently, President Obama declared a handful of national monuments, being the first president in United States’ history to recognize so many during his term. Because of this, lovers of the outdoors will have even more beautiful places to visit, which will now be protected for many years to come. However, it’s not always as easy as it looks to make a decision about something that can’t speak for itself; a national park, for instance, or in some cases, a majestic mountain. Being far away from the contiguous United States, many people forget that Alaska is home to some of the best backcountry spots in the entire country, as well as the tallest peak in the US. At 20,000 feet above sea level, Mt. Mckinley is the highest of our numerous mountains, and the third highest in the world. But, it isn’t her height that has had people talking for decades; it’s her name. Although the name has been ‘Mt. McKinley’ for over a hundred years, the previous name, ‘Denali’, has been preferred by those who understand it. ‘Denali’, was the name given to the mountain by the native Athabascan people, which means, ‘Great One’, or ‘Tall One’. In 1896, a gold prospector who wanted support McKinley’s campaign, changed its name to Mt. McKinley. However, the name wasn’t officially Mt. McKinley until 1917, when Woodrow Wilson signed a legislation honoring the mountain and the surrounding park in the name of a president who was assassinated 16 years earlier-William McKinley. Now, one might wonder why this is all a big deal in the first place. Well, it’s not really. Most people nowadays, like President Obama, are totally supportive of changing the name back to the original, more spiritual name. Most people, that is, except members of the Ohio government. Ohio is the birth state of William McKinley, a man who never even visited the mountain once, despite the fact it was named after him. Ohio wouldn’t let this one go without a fight. So, what do you think? Should the mountain be given back its birthright, or should it continue to be named the way it has been for so long? Does Ohio have a good argument, protecting its hometown hero? Or do Alaskans and leaders like the President have completely valid reasoning for wanting to change the name back to Denali? To look at the other side of it, it’s not as if the mountain has been called McKinley for just a few years. Because of its huge presence in the state, many school districts, parks, and public places in Alaska have been named after the mountain. Imagine the hassle to also change the names of these places, too. Again, not the biggest deal in the world. And, this also has nothing to do with Ohio, as their parks and schools are obviously not located in the state of Alaska. But, it’s certain that they’ve used this argument to their advantage. President Obama also isn’t the only person to be advocating for this wonderful piece of nature. Also to thank for this achievement is Sally Jewell, the secretary of the Interior Department who used her unique authority to ultimately make this breakthrough decision. Additionally, the Alaska Board of Geographic Names and the United States Board on Geographic Names have been fighting this for a long time, and frankly, they’ve already made the decision for themselves. Locals already refer to the mountain by its true name, Denali, as do hikers that have come to explore it. In the 1970’s, one proposal to officially change the name back was denied by Ohio’s congressman at the time, Ralph Regula. Since then, more run-ins have happened with Ohio politicians, however, this time around, the mountain has prevailed. As of August 30th, 2015, President Obama’s decision means that Ohio no longer has a say in the matter, and Mt. McKinley can now have its birth certificate back. Although the famous mountain has been recognized by this name for quite some time, visitors to it will have to get used to shortening the syllables. Denali is now the name it will go by, as it should have been since the beginning. Even the Russians, who previously owned Alaska, had their own name for the mountain, and it certainly wasn’t after the Czar Alexander II-it was ‘Bolshaya Gora’, or ‘Big Mountain’-very similar to what the Alaskan’s named it after the sale. They probably wouldn’t have liked it to be called Mt. McKinley, either. So long, Mt. McKinley. Welcome back, Denali.